In what should be considered the most significant turning point of the digital marketing industry within the last few years, programmatic media buying has evolved fully fledged into the automated process of transacting marketing dollars. This has in turn facilitated the demand for in-house expertise with advertisers and with agencies or trading desks partnering with brands. Where marketing celebrates success in finding customers at the right place and time, programmatic buying has effectively streamlined the process of traditionally buying and selling media and this has allowed for greater capacity with optimization, campaign strategy and leveraging the growing pool of available technology. Ad delivery has become more effective due to automated precision however the decision making controls are still very much in human hands. 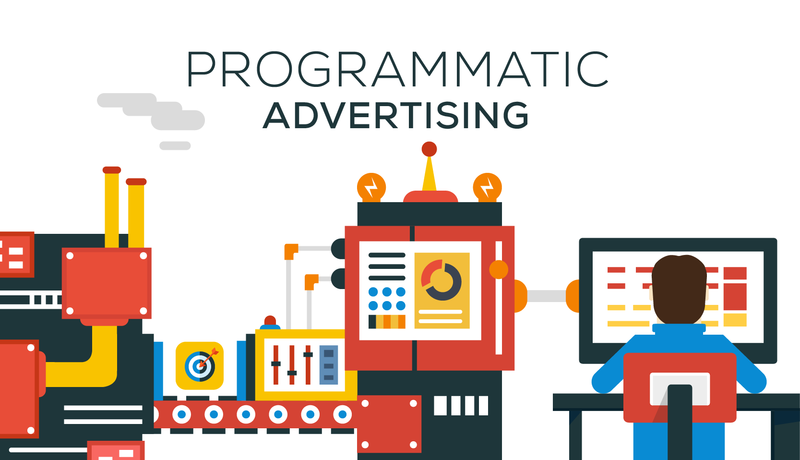 Partners working with advertisers at campaign management level should also be well aware of the different types of programmatic buys that are possible within the specific market as well as the differences in terminology where these different types of buys are concerned. Programmatic management services refers to the management of automated buying and selling of media online, while Real Time Bidding is only one type of programmatic buying. It describes an open online auction, where the eligibility of the audiences as well as the bids are precursors as to whether the ad will be served at any particular micro-moment. This usually refers to remnant inventory which remains to be sold after a publishers’ premium inventory has been sold. However, there are many different ways in which inventory can be exchanged online. In addition to the Real-Time bidding Marketplace, the Deals Marketplace allows for the buying of media that has been pre-packaged into deals catering for specific demographics or audiences the advertiser may be interested in. This allows for bypassing the time spent in discovering inventory with RTB. The Direct Marketplace refers to the process where programmatic has intercepted the traditional Request-for-Proposal process, transforming and automating the decision making process which would otherwise be unnecessarily time-consuming. The Performance Marketplace is centred around an automated CPA/CPC model where publishers trade against specific advertiser objectives – here the primary focus is on performance to meet advertiser goals. With the buying methods described above it becomes clear that Programmatic encircles both the direct and non-direct acquisition of media. The automated buying process has also greatly influenced the agency business model from a sales, publisher and programmatic service management perspectives. From a time-effectiveness point of view, the administrative processes of sales teams are greatly reduced. As the process of selling and negotiating deals are largely automated, the result is that sales departments are able to package deals of greater complexity in meeting their targets instead of being limited to weekly or monthly negotiations that requires additional time. This factor alone has a positive impact on profits. Publishers can greatly benefit from programmatic advertising services, because they are able to focus more of their attention on negotiating their direct/premium inventory while remnant inventory is left to RTB. In addition, the automated process reduces the margin of error as well as the time dedicated to the implementation in serving ads – once again streamlining the workflow. Ad operations professionals compliment this relationship in that without the burdens of trafficking large campaigns, they have more time available for optimization, strategy as well as gathering insight and data to improve the relationships with their clients, leading to greater demands in volume. One of the main parallel fields of focus within programmatic, is Big Data. There is more consumer data available than ever before with an estimated 90% of the worlds data having been generated in the space of 2 years. However, with the immense volume of data available, publishers found challenges to capitalize on this opportunity. This problem led to the rise of Data Management Platforms (DMP’s) which provide publishers with the opportunity to categorize their audiences by demographics and interests. Advertisers are also able to access these platforms to find audiences for targeting purposes based on the specifications of what they’re selling. DMP’s provide marketers with valuable analytics and 1st party data for more precise campaign planning and in buying directly from the publishers that meet their criteria. This data is updated in real time and Ad Data Exchanges that plug into DMP’s or even DSP’s can directly provide the opportunity for the aggregation, segmentation, buying and selling of 3rd party data. 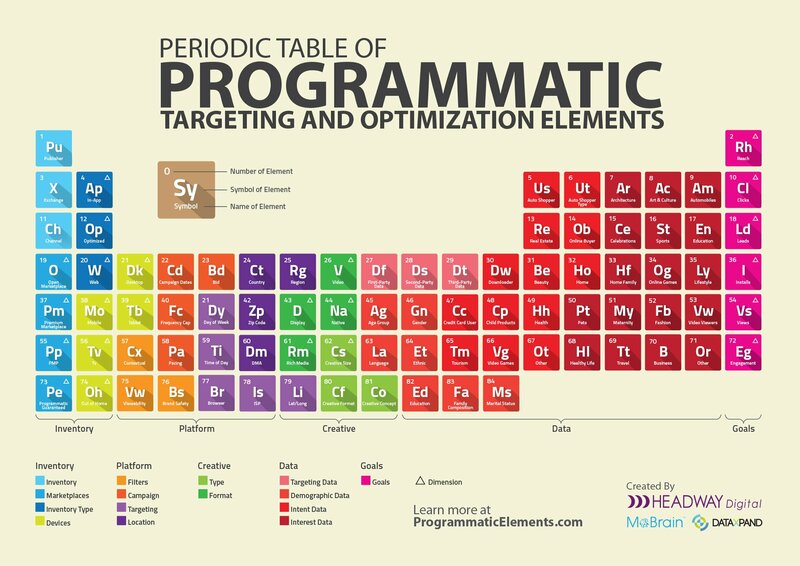 Amongst the main positive indicators of the growth of programmatic, is indicated by the shift where more brand advertisers are incorporating expertise relating to programmatic management services into their digital marketing strategy. As opposed to a direct response approach by advertisers buying on a cost-per-click or cost-per-acquisition basis, brands such as FMCG motors are applying programmatic. This highlights the capability of audience buying through mechanisms such as frequency capping, brand safety features and precise targeting. The expansion of video advertising is another success-point with an estimated $5.37 billion sold in 2015 and an estimated 7.43 billion for 2017. The explosion in video advertising has also led to the emergence of advertising on new platforms such as SmartTV, currently a precursor to programmatic TV buying. A third development refers to the fact that publishers are increasingly choosing to sell their premium inventory programmatically by packaging their most premium placements on private marketplaces to be analyzed and negotiated for by buyers. This shift points to even more confidence in programmatic management services and programmatic media buying by the industry in general. While Real-Time bidding was the initial buying process which emerged in the US, programmatic management services continued to evolve and European markets have adapted to accommodate the needs of their clients by innovating and customizing this process. In the Netherlands for example, innovation has been geared toward the exchange of Rich Media/High Impact formats programmatically. This was an important step toward increasing campaign performance from an R.O.I. or brand-awareness point of view while, in return, publishers were able to sell media at higher CPM’s. In the UK, great emphasis has been placed on intelligent buying and selling decisions through the analysis of data and this has effectively widened the gap between buyers and sellers. Due to these closer efforts and collaborations of advertisers and publishers Programmatic Premium has taken centre stage in this market. The rise of Programmatic has witnessed the global adoption of the automated buying process by brands and digital marketers are progressively taking advantage of the micro-moments in reaching customers at the right time and place. There remains little doubt of the essential value in defining the correct audiences as well as the freedom of bidding on multiple inventory sources to competitively increase R.O.I. However, even though demand for expertise in programmatic management services is on the rise, advertisers are still reluctant to move into this space due to increased risks of opening their brands to inappropriate contexts online. One of the main proclamations made by the industry has yet to bear out – matching and serving ads to the most relevant users within a brand safe environment. With the estimation by comScore that more than half of display ads go unseen as well as investigations surfacing where dozens of major brands have had their content show up on inappropriate and even illegal sites – the uninviting risks associated with the open exchange remains an obstacle. Even for those advertisers lesser affected, the uncertain truth remains – purchasing inventory in real-time on exchanges may result in opportunities lost, where ads could potentially appear on placements that may be objectionable for the advertiser and no amount of blacklisting or white-listing can assuredly prevent this from occurring. While many ad-servers do have built in functionalities to at least guarantee a measure of brand safety, it appears to be sabotaged at the source. The contradiction here is that Ad Networks themselves have similar structures in place and may block certain sites, time-zones or content categories. This has the potential to create an opaque interpretation of where the advertisers brand may appear and increasing importance is placed on verifying the process of exactly how networks and exchanges authorize their inventory providers before tags are served. In addition, increasing shifts toward price as a factor over and above reach or quality perpetuate conditions where brands are losing control over placement in terms of suitability, page location and contextual relevance – all factors negatively impacting brand safety. Strides made to counteract this issue are notable however and with the inception of the Digital Trading Standards Group (DTSG), guidelines for marketplace best practice have been established and permeate to all major focus-points including exchanges, DSP’s, SSP’s, networks and agencies. Over 40 companies, including Google’s DoubleClick, Yahoo, AOL and Microsoft Advertising have received seals of approval confirming industry-approved standards in commending brand-safety. Further reinforcement is provided from ad verification companies such as DoubleVerify, comScore and Integral AdScience, where reporting is offered on URL level. This promotes the rise of more robust and preventative blacklists. Many similar platforms assist the advertiser by raising alerts where it relates to content or keywords and options such as ad-blocking are available to efficiently avoid undesirable sites. Most of these verification tools also aid in preventing ad fraud, assisting advertisers not only in the assurance that ads are being seen properly but that they are seen by human beings as opposed to bots. 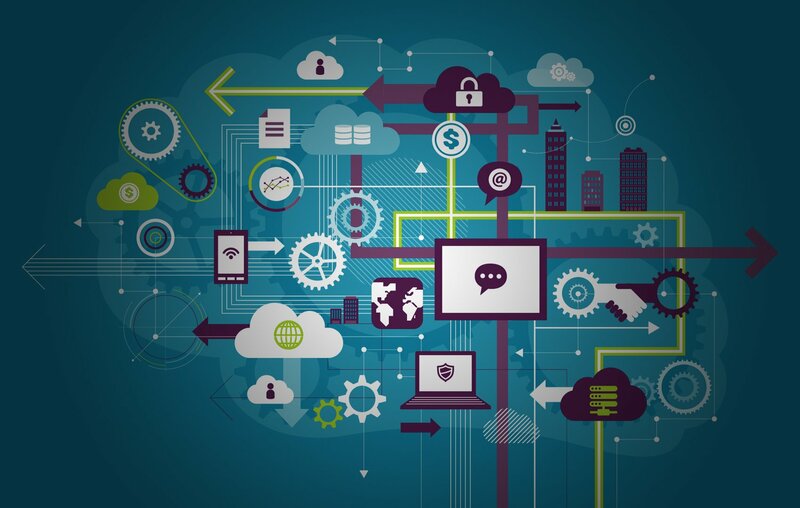 The question of Attribution is another highly pertinent matter as are capabilities in running campaigns across platforms and devices. Can the partner offer programmatic service management for Mobile Campaigns, Video or Rich media? Can the technology accommodate for search activity, mailer campaigns or offline conversions? These are important issues that arise within the reporting process because measuring on all possible activity and discovering how success is attributed is the most important aspect of determining ad-spend. This process is referred to as attribution modelling and listed below are some of the main attribution models that should be defined with partners offering programmatic management services. The Last Interaction Model would ordinarily attribute the total value of the conversion to the last channel with which the customer interacted before buying or converting. This model focuses the role of a channel in closing sales or conversions. This is relevant for campaigns that are designed to attract people at the micro-moments of purchase or conversion. It’s also useful if your business is mainly transactional, with a sales cycle that doesn’t involve a long consideration phase. The first conversely would attribute the total value of the conversion to the first channel with which the customer interacted. For example, when marketing a brand that’s not well known, you might put a premium on keywords or channels that first expose customers to the brand. Use this model to emphasize the role of display advertising in initiating conversion funnels. In the example where there is a very long funnel where conversions are to be attributed equally, the linear model gives equal credit to each channel interaction on the way to a conversion. For campaigns that are designed to maintain customer contact and awareness throughout the sales cycle. In this model, each touch point is equally important during the purchase process. There are also position-based models which are usually combinations of the Last Interaction and First Interaction models. Instead of giving all the credit to either the first or the last interaction, you can split the credit between them. A levelled scenario is to assign 40% credit each to the first and last interaction, and assign the remaining 20% to the remaining interactions. This model operates on the assumption that you value the touch points that introduce customers to your brand or promotion, as well as the touch points that result in sales or conversions. The Social Model is based on the linear model, but impressions are weighted to account for social interactions. High-value social engagements extend reach to other users. Examples include shares, and re-tweets. Low value social engagements show interaction, but don’t extend reach to other users. Examples include expands, and profile views. The Time Decay model is best suited for a sales cycle where there is a temporary consideration phase. This model is based on the concept of exponential devaluation of the conversion. It gives the most credit to the touch points that are nearest to the time of conversion or sale. The Time Decay model has a half-life of seven days, meaning that a touch point seven days before a conversion will get half the credit of a touch point on the same day as the conversion or sale. Similarly, a touch point 14 days before the conversion will get a quarter the credit of a day-of-conversion touch point. The exponential decay continues to the end of your look-back window. If you run one-day or two-day promotions, you might want to give more credit to interactions during those promotions. Touch points further back in time have less value compared to those that occurred right before the conversion. Setting definitive campaign goals are at the centre of ensuring that you’re following best practices for buying digital media. Leaving objectives too broad and undecided could make your campaign more vulnerable to obstacles related to brand safety. It’s a good idea to list all goals beforehand including formulating a real price for the inventory if necessary. Partners should be aware of the different possibilities and phases of real-time bidding campaigns such as; prospecting, contextual and retargeting. Ensuring that your partners are using verification services such as Integral AdScience or DoubleVerify within their technology stacks. In addition, assigning brand-specific black-lists are important in eliminating undesirable placements ahead of going live. 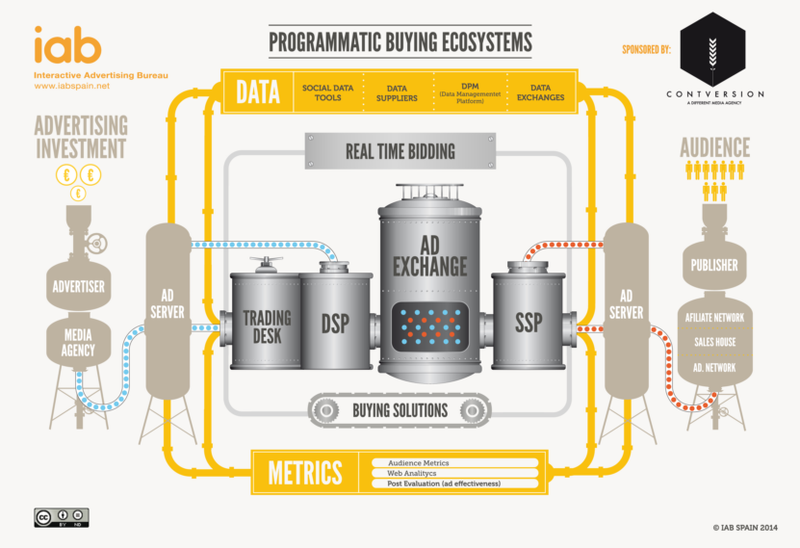 The access to qualified and relevant data should be at the forefront of programmatic campaigns. Partners with access to technologies such as Data Management Platforms will have access to focused segments based on category interests, location, demographics etc. that will allow for very specific targeting. This eliminates the need for spending much of the campaign budget on prospecting or growing audience lists. If strategized correctly and integrated well with campaigns, steep increases in performance can be expected. During the campaign life-cycle, continuously filter and undesired publishers at URL level and use post-impression and post-click analysis insights to find valuable opportunities in target sites that are relevant. Employ technology such as ActiveView to determine what percentage of the ad is seen and improve viewable impressions by bidding for more prominent ad spots. Leverage geo-targeting insights available to you to prevent budget wastage and to ensure accurate campaign delivery. Find opportunities for ad-blocking, category targeting and contextual targeting to proactively prevent ads from appearing next to inappropriate content. Ad Fraud is a serious threat to undermining brand-safety. The sophistication of bot networks have increased the risk of masking impressions, clicks, cookie attribution and video completes. Certain indicators within reports do define human interaction such as purchases, subscriptions or surveys. Promote transparency with your clients and partners. General education within the industry should be a collaborative effort and a free exchange of information can only aid in promoting brand-safety and deterring bad actors within the marketplace. If you’re looking to leverage programmatic management services for your business send us a message via chat or send us your contact information through the contact us page.